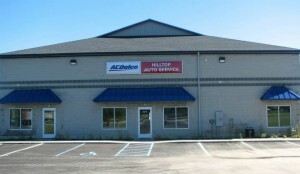 Ken is the owner and founder of Hilltop Auto. He has been working on cars since 1978 and specializes in diagnostics. He enjoys the challenge of automobiles and their ever-changing technology. 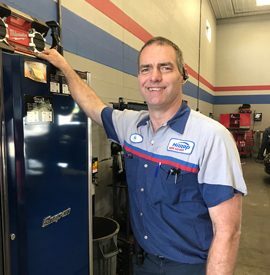 Ken is an ASE Master Auto certified technician and also holds certifications in light duty diesel and advanced engine performance. Machele is Ken’s wife and co-owner of Hilltop. She does the secretarial work and other various office tasks. She and Ken have 5 children and 10 grandchildren. 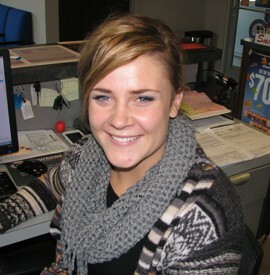 Alyssa is our receptionist who will help you schedule an appointment or give you an update on your vehicle. 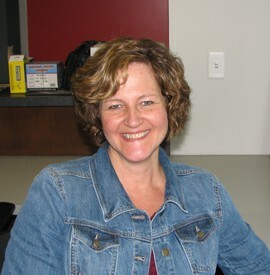 She is the friendly face that will greet you when you drop off or pick up your vehicle. 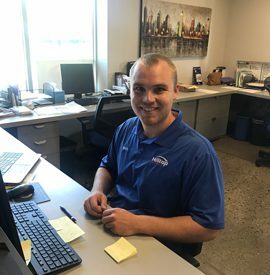 Matt is our service manager. He’s a recent graduate of Ferris State University with an automotive management degree. 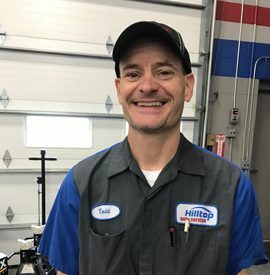 Kevin has been working at Hilltop Auto since 2009. He is our GM and driveline specialist. Kevin has extensive experience with General Motors products. He has a 1970 Buick that he restored from the ground up. 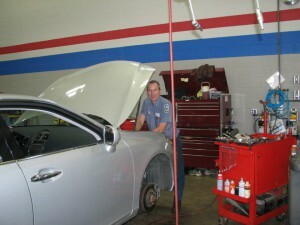 He is an ASE Master Auto certified technician and also has certification in advanced engine performance. He and his wife Lynda have 3 children. Nick has been working for us since 2014. He previously worked at an import dealership servicing Subarus, Porches, and Audis. Nick is our import car specialist. He and his wife Lauren have 3 children. 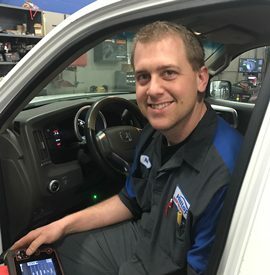 Tyler is ASE certified in several areas and is working on becoming an ASE Master certified technician. His specialties are alignments, engine repair, and climate control. 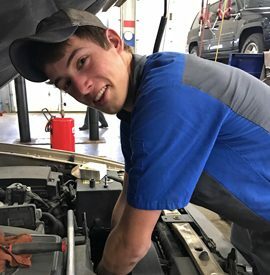 He is a graduate of the GRCC Auto program. 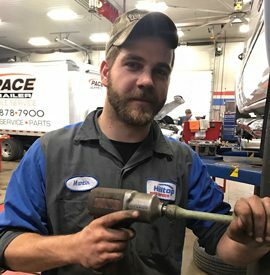 Martin is certified in automotive brakes and suspension and is our brake specialist. 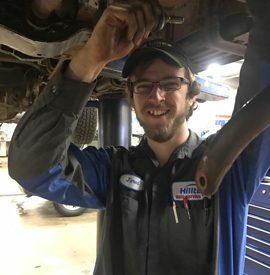 Ben is one of our technicians who recently graduated from the GRCC Auto Program. 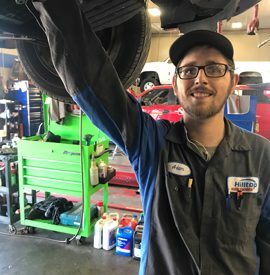 He works on suspension, brakes, and engine repair and is working toward becoming an ASE Master Certified technician. 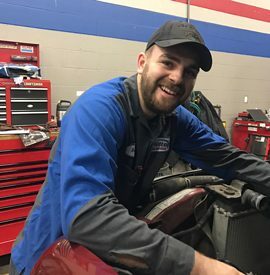 Jared is certified in brakes and suspension and is our maintenance and light repair technician. 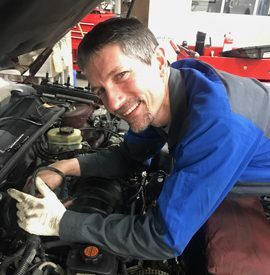 Adam Missad is our oil change and light repair technician. Todd is our parts receiver, janitor, and takes care of our lawn maintenance. 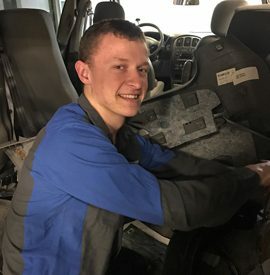 Devin Veldhouse is working part time with the intention of pursuing a full time career as an automotive technician. 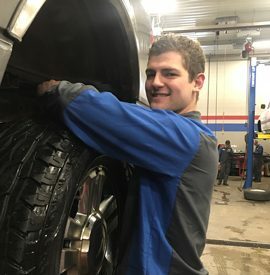 Josh Groenveld is working part time with the intention of pursuing a fulltime career as an automotive technician.